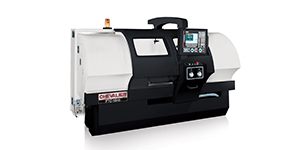 Chevalier's CNC machining centers are intricately designed devices that make a multitude of tasks much faster and easier than they would otherwise have been. 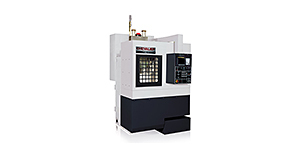 Chevalier's CNC Vertical Turning Lathe are at the advanced edge of technology, producing a new level of automation, reducing workloads for your operators and lowering labor costs. It is not only the latest technology that makes Chevalier's machining centers the market leaders; it is also their innovative design. 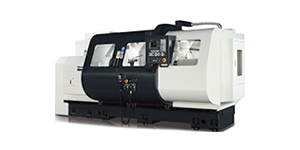 The CNC Vertical Lathes feature a high speed double turret, which has the capability to do individual or simultaneous turning, meaning faster cycle times - increasing production levels. Chevalier's elite team of design professionals has achieved the impossible - combining sleek design with functionality. 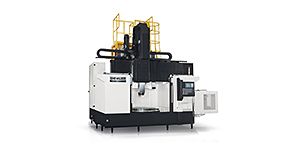 This means that while the vertical turning centers that they produce have all the features you would expect and more, they are not bulky and will fit easily into any workspace.